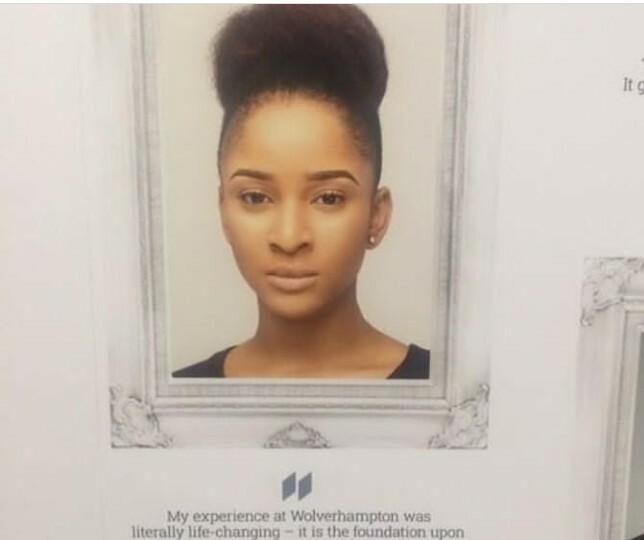 Adesua Etomi Bags Honor From University Of Wolverhampton – Adesua Etomi has bagged an honor from the University she attended with her face plastered on its walls. 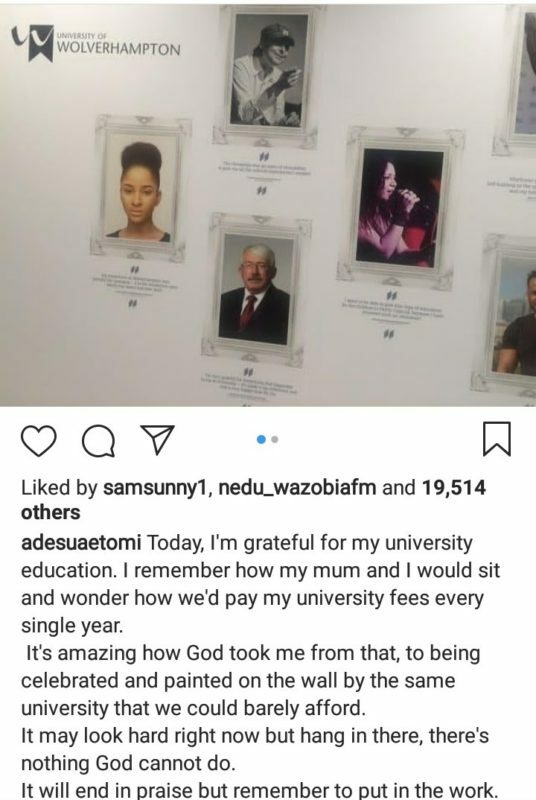 Posting about the news, the actress reflected on her days as a student at the University of Wolverhampton and how she and her mum always wondered how they would pay for her school fees. But now, she’s being recognized by that same University.